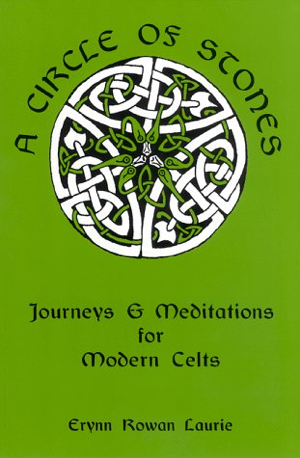 Bkwyrm reviews A Circle of Stones: Journeys and Meditations for Modern Celts by Erynn Rowan Laurie in the Bkwyrm archive. This is not an introductory work. I would even hesitate to recommend it to an intermediate student. The author presents her own method of meditation in the Celtic tradition, which takes place in the circle of stones. The work contains all the meditations, chants, and affirmations that are used when walking the circle. The chants themselves are in Gaelic, with English translations. Also contains devotional rites for specific deities, and guides to how best use the meditational path. This is not a spellbook or a workbook; rather, it is a guide to a very complicated form of Celtic meditation. This entry was posted in Hermetic Library Reading Room and tagged Bkwyrm, books, Erynn Rowan Laurie, reviews on January 31, 2017 by John Griogair Bell.